THE $130 million Illumina tower at Toowong has launched to the market with 60 per cent of its apartments worth more than $83 million already sold. A joint venture between Brisbane developer Property Solutions and China-based Chiwayland, Illumina will offer 221 one, two and three-bedroom apartments across 21 levels in the centre of Toowong. 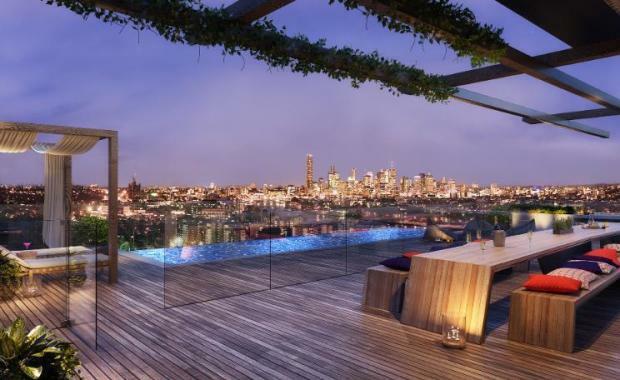 Owner occupiers account for 50 per cent of the pre-sales with many end-users snapping up the project’s $1 million-plus apartments; predominantly three-bedroom residences located on the tower’s top three levels. Property Solutions managing director Kevin Miller said the positive buyer response was encouraging, particularly the early take-up of Illumina’s premium product. “It’s terrific to see the high-end apartments selling so well as these are often the last to go in off-the-plan sales,” he said. Illumina[/caption]Mr Miller said Illumina’s blue chip location in the centre of inner-west Toowong was driving sales. “Our buyers are drawn to the project’s proximity to Toowong Village, the CBD, University of Queensland and a range of public transport options,” he said. Illumina will offer city, river and Mount Coot-tha views from apartments located on level five and up. In addition to the larger apartment configurations, one-bedroom and one-bedroom-plus-study options are available alongside a varied collection of two-bedroom offerings. All residents will have access to a recreational sky deck with an infinity-edge pool, entertaining spaces, an open-air cinema and city views on level 21. A retail precinct with space for a cafe, deli and boutiques will be located at street level. Due for completion in 2017, Illumina will be located at the corner of Lissner and Jephson streets just 300 metres from Toowong Village Shopping Centre. Illumina is the first Australian development foray for Chiwayland. The company holds the premier position in China’s real estate industry and is involved in residential and commercial development throughout the country, including affordable housing, office buildings and education hubs. Property Solutions, which has been established in Brisbane for two decades, is a market leader in urban renewal projects across Southeast Queensland and has a workbook of more than 150 completed projects. The group is responsible for a number of Brisbane’s major mixed-use development projects, including the acclaimed Centro on James Street project - regarded as one of Brisbane’s most successful urban renewal projects - the $350 million SW1 development in South Brisbane and more recently The Barracks, a $150 million mixed-use and entertainment precinct in Paddington. It is currently developing the $270 million Circa Nundah Village and $55 million Arbour apartments in Chermside.